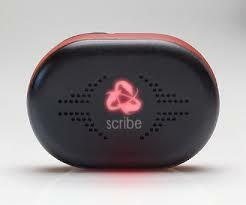 runScribe is a wearable fitness tool for runners created by ScribeLabs, a technology collective based in the San Francisco Bay Area and Colorado. While runScribe was still in development, ScribeLabs’s founders needed some brochure-style copy that would explain their new product—copy that would be shared both in a press packet and on a new website being developed by Good Dog Design. Since the launch of its new site, ScribeLabs has been profiled in the Wall Street Journal and other high-profile publications, and the story we told also helped the company raise $250,000 in four weeks—far surpassing an initial Kickstarter goal of $50,000. As a writer and editor for Good Dog Design, I helped create effective and influential web content for businesses interested in enhancing their web and social media presence. The site for high-end homebuilder Faubel Construction Inc. (FCI), which features a portfolio of FCI’s work and descriptions of their services, is another great example of my collaboration with GDD. I worked closely with the Faubel team to tell their story in a way that preserved the voice of their down-to-earth founder, Ed Faubel, while adequately conveying the depth of Ed’s expertise and the quality of his services.